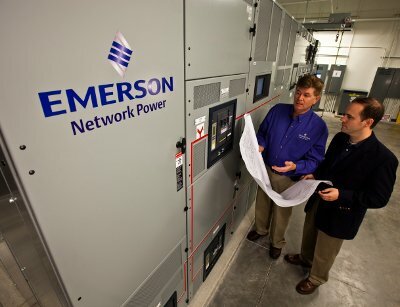 The cost of data center downtime has increased significantly for companies in the last three years, according to results of a recent stody by Ponemon Institute, sponsored by Emerson Network Power. The study of US data centers quantifies the average cost of an unplanned data center outage at slightly more than US$7,900 per minute. This is a 41% increase from the $5,600 it was in 2010, when Emerson and Ponemon first started downtime cost assessment studies. This year’s report analyzes costs at 67 data centers over last year across varying industry segments with a minimum size of 2,500 sq ft. It is an analysis of direct, indirect and opportunity costs from data center outages, including damage to mission-critical data, impact of downtime on organizational productivity, damage to equipment, legal and regulatory repercussions and lost confidence and trust among key stakeholders. - The average reported incident length was 86 minutes, resulting in average cost per incident of about $690,200. In 2010 it was 97 minutes at about $505,500. - For a total data center outage, which had an average recovery time of 119 minutes, average costs were about $901,500. In 2010, it was 134 minutes at about $680,700. - For a partial data center outage, which averaged 56 minutes in length, average costs were about $350,400. In 2010, it was 59 minutes at about $258,000. Those organizations with revenue models that depend on the data center’s ability to deliver IT and networking services to customers – such as telecommunications service providers and e-commerce companies – and those that deal with a large amount of secure data – such as defense contractors and financial institutions – continue to incur the most significant costs associated with downtime, with the highest cost of a single event more than $1.7m. The same industries saw a slight decrease compared to 2010 costs, while those organizations that traditionally have been less dependent on their data centers saw a significant increase. The largest increase was in the hospitality sector, which saw a 129% increase, followed by the public sector (116%), transportation (108%) and media organizations (104%).